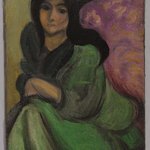 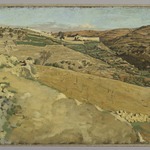 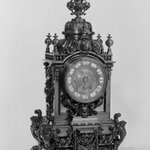 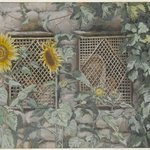 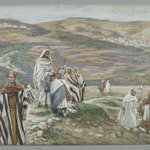 Throughout the series, Tissot adopted compositional strategies that permit—and indeed, force—the viewer into the action of the narrative as a participant. 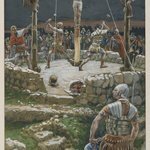 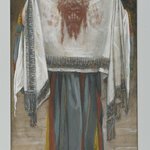 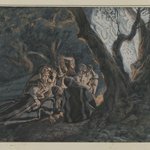 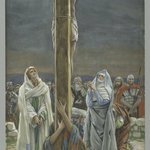 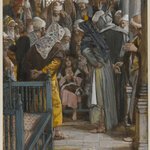 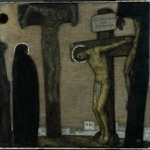 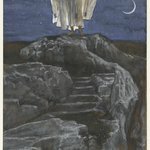 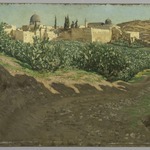 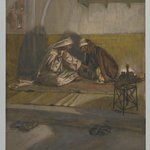 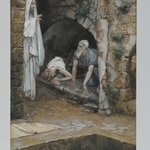 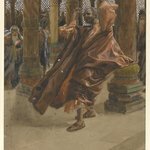 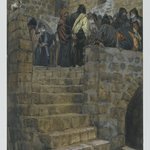 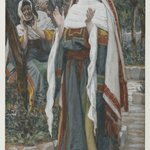 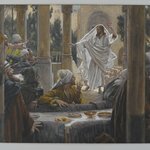 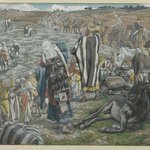 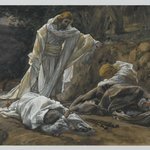 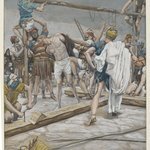 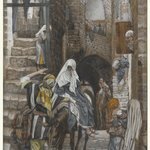 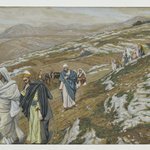 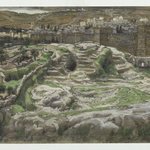 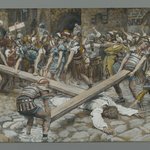 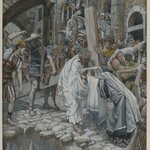 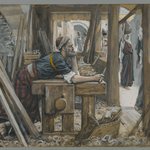 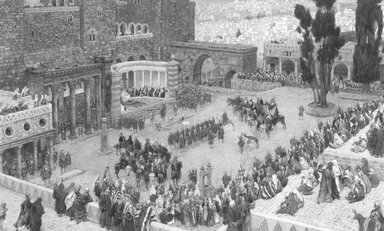 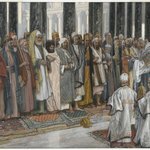 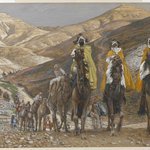 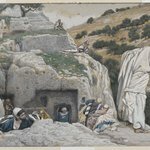 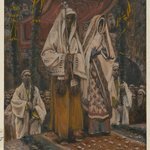 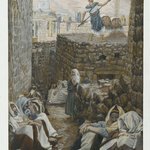 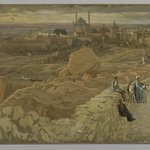 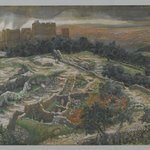 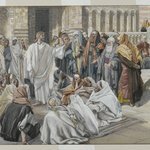 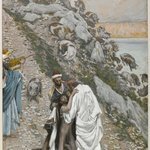 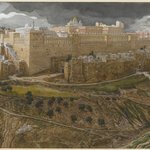 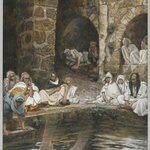 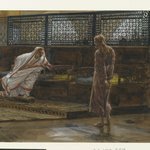 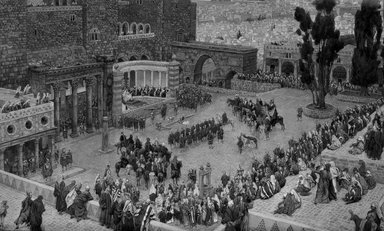 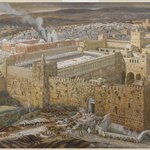 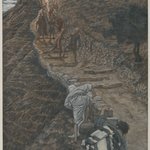 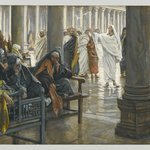 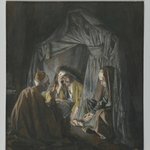 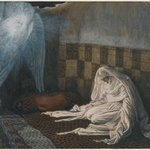 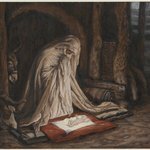 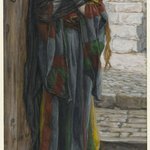 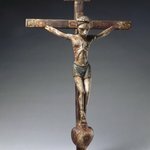 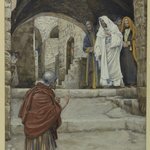 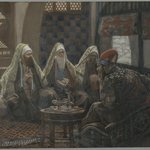 In a significant departure from this practice, however, Tissot here presents an expansive view from above the public forum where Jesus hears his death sentence. 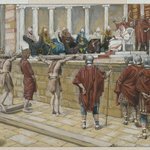 Although the figures are minute, the red-cloaked Jesus, flanked on either side by the thieves condemned to die with him, can be clearly discerned standing before Pilate, who sits surrounded by the priests in a bright white semicircular colonnade, or hemicycle. 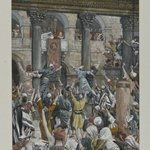 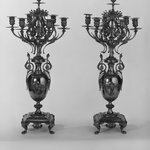 To the left of this, the marble column still bears the traces of the flagellation. 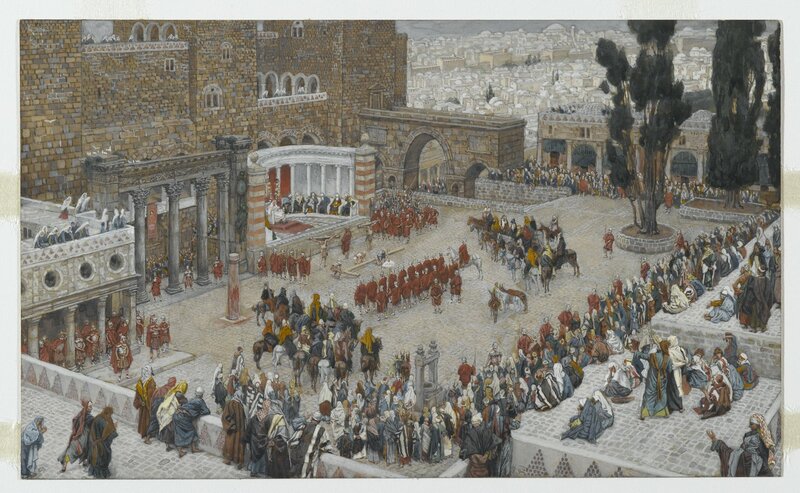 At center, the Roman soldiers prepare the cross to be borne by Jesus, while a large crowd assembles to hear the sentence. 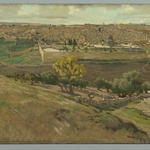 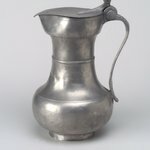 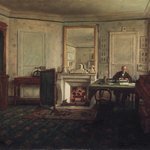 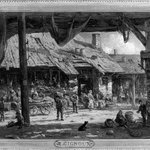 SIGNATURE Signed bottom center: "J.J. Tissot"